Shakai: Definitely math. Math comes easily to me. One of the best parts about math class is working together to figure out the problems. I really like that we get to solve problems as a group. Shakai: We learn so much new stuff in 5th grade! I really like to learn. 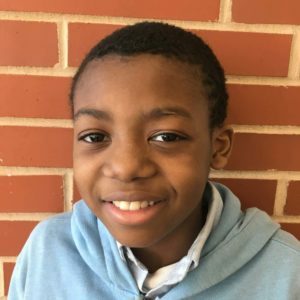 Shakai: Learning more all of the time, and doing well in school. PAVE: Can you share something that you did not know before coming to school, but you do know now? PAVE: What is your favorite after-school activity? Shakai: Chess is my favorite activity. It makes me think more, and it’s fun. I like the strategy part of it.